O Panneerselvam (OPS) takes command as new Tamil Nadu Chief Minister (CM): As TamilNadu CM Ms Jayalalithaa passed away yesterday midnight, there was a great question about the successor of Amma as Chief Minister of the state. Finance Minister and Former CM of Tamil Nadu O Panneerselvam took oath as the next CM of the state. It was emergency decision taken in the meeting. Various other options like actor Thala Ajith and Dhanush were also recommended by some panel members. Lawmakers and other Influential members of the state had a meeting with MLA’s shortly before the Amma’s death. Mr Panneerselvam is chosen as the most eligible leader by majority to lead them in the upcoming days. Mr Panneerselvam was one of the Amma Jayalalithaa loyalists. Amma had defined a list of her loyalists in her will paper. The loyalists will be given the responsibilities accordingly. Panneerselvam had taken the chair of Chief Minister two times before too when she was needed to leave the power. He has a great experience of leadership and most of the people who voted for Amma trusts him. Since september, he was holding the charge of eight ministries in the state. Jayalalithaa’s body will be carried out after necessary formalities. Police is trying to clear some crowd to avoid any uncertainty. Huge crowds started gathering outside the Poes Garden residence where it’s expected that the body will be laid for a day so that eminent personalities from around the world can pay their respects. Public morning will be done in Chennai’s Rajaji Hall. Prime Minister Narendra Modi, Central Ministers, Bollywood and Tollywood superstars had shared their grief on Social Media. Shah Rukh Khan, Rajinikanth and many other well-known celebrities used twitter to share the grief. Many local Tamil channels reported that Jayalalithaa passed away in the morning, but that was not true. Police needed to take action against some violent groups today morning, outside the hospital. The AIDMK headquarters taken down the flag in the morning which was restored by the noon. The official update on the death released at 11:30 PM using AIADMK official twitter. Former Chief Minister of the state, Jayalalithaa suffered a cardiac arrest yesterday night. She was suffering from many diseases earlier as well. (Read Complete health report of Jayalalithaa here). She was on the life support system known as ECMO or an Extra-Corporeal Membrane Oxygenation device since morning according to Apollo Hospitals. Many doctors were called from AIIMS and around the world to supervise the deteriorating health conditions. O Panneerselvam also popularly know OPS will be the new Chief Minister of the State. 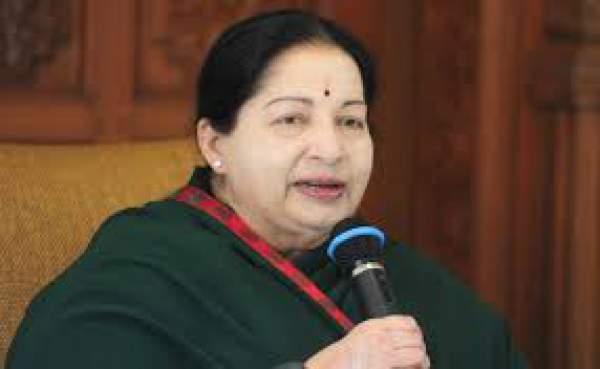 Its expected that he will announce the work on Amma’s dream-projects from next week itself.